I used to subscribe to beauty boxes, two of the well known ones actually, but almost every month I felt disappointed. I found I could often pick up better sized free samples from beauty counters of products I actually wanted to try! 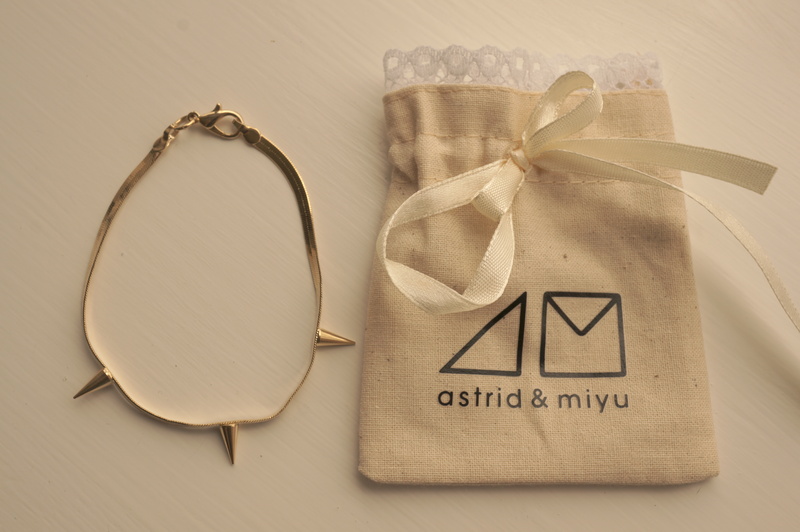 So, I cancelled my subscriptions, and recently came across the Astrid and Miyu Secret Box Subscription. How is this different?? I’s a jewellery box subscription! Why has this not been done before!? Astrid and Miyu sell fabulous fashion-forward quality jewellery at really reasonable prices, and their style is right up my street. The Secret Box subscription service is £39 per quarter (every three months) and they promise to send you items worth £100 in every box! These are pieces I would purchase anyway so this is just awesome! When you sign up they send you a questionnaire via email, you can tell them exactly what you like and don’t like so you know the items you receive will be suited to your style. If there’s something you can’t wait to get your hands on you can also shop directly from their site. 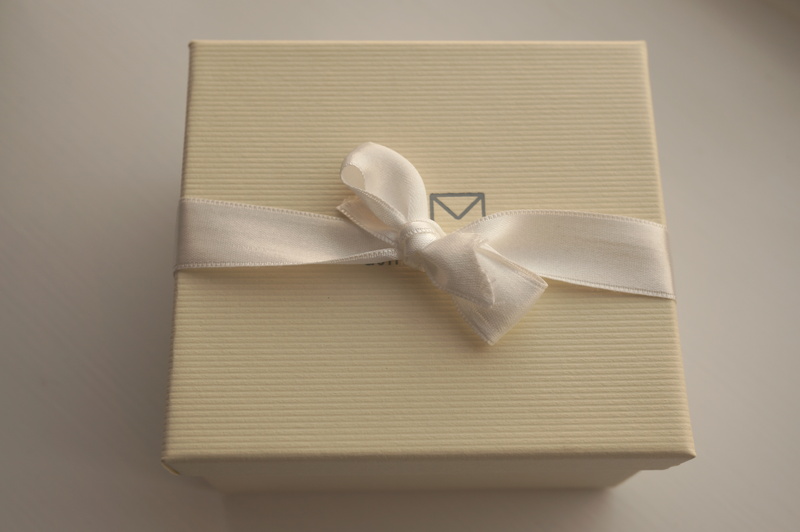 The first box was sent earlier in June and this is what I recieved – a high quality pretty box tied with a pink bow. This is my jewellery! I love it all! 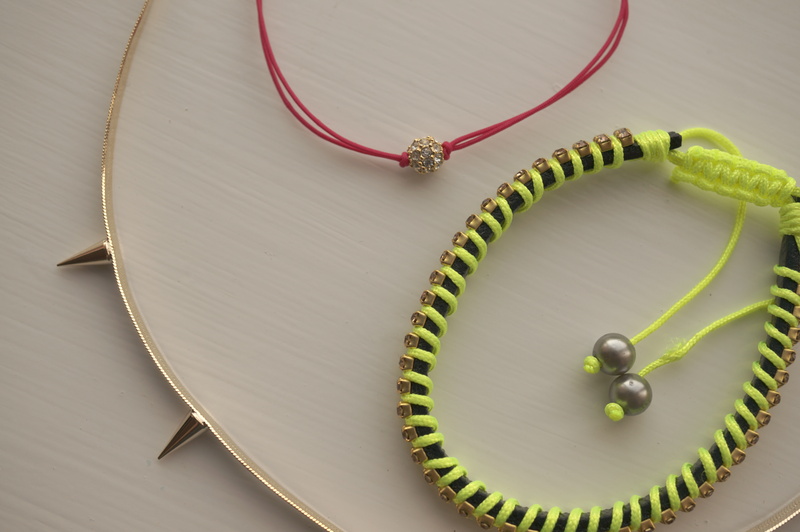 I have the Conflicting Choices Necklace (£29) the Silky Charm in Fuchsia Bracelet (£19) and the Neon Lights in Yellow Bracelet (£19). 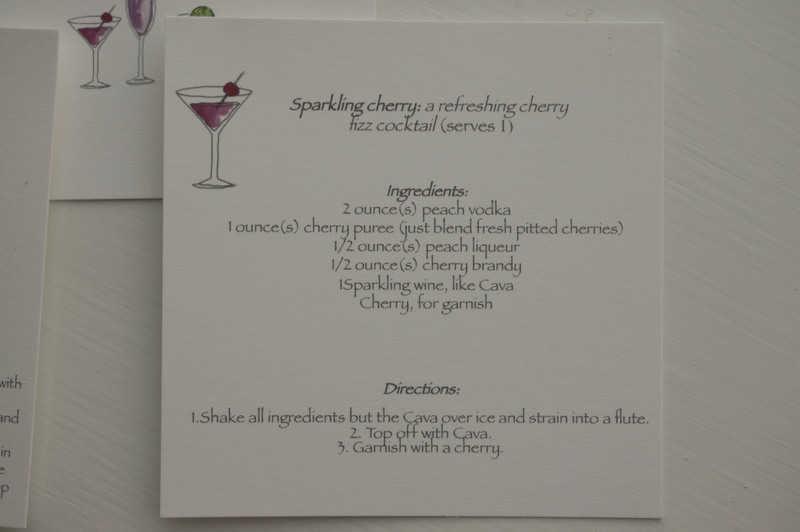 Also included were some cocktail recipe cards, and a money off voucher! Now the eagle-eyed among you may have noticed that my items did not add up to £100. In fact they added up to £67 worth of jewellery. 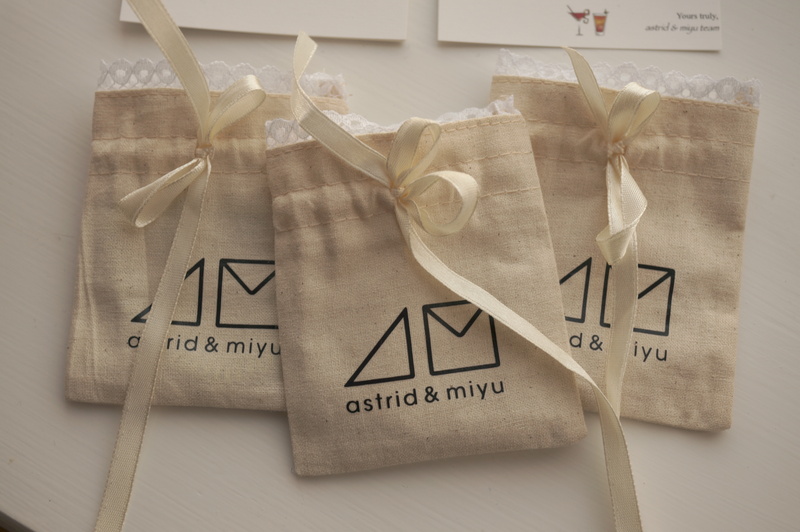 I contacted Astrid and Miyu to let them know as this is quite a way off the £100 mark. They were very lovely and apologised for the mistake. Straight away they posted me this gorgeous Conflicting Choices Bracelet (worth £24) and I couldn’t be happier! I absolutely love my jewellery and can’t wait to receive my next box in September! Olivia Burton Exclusive Big Dial Watch! Previous Post Celebrities and Bloggers Without Makeup! Next Post How Makeup Transforms My Face! Very pretty jewelry! I think the bracelets are all so dainty looking, but they’re really unique 🙂 I think it’s cool that they sent you cocktail recipes, too! I definitely did the math and noticed it didn’t come to 100, but I decided not to say anything about it. I’m glad you emailed them, and the bracelet they sent you is really lovely! Well, all of the jewelry is! This is such a good idea! Thank you for writing about it or I’d never have heard of it! Great that they honoured their commitment of £100 worth of stuff after you emailed!